Salina, with its 27 square kilometers surface, is the second biggest and most populated of the seven islands (the others are Lipari, Vulcano, Stromboli, Filicudi, Alicudi and Panarea) of the Aeolian Islands’ volcanic archipelago. 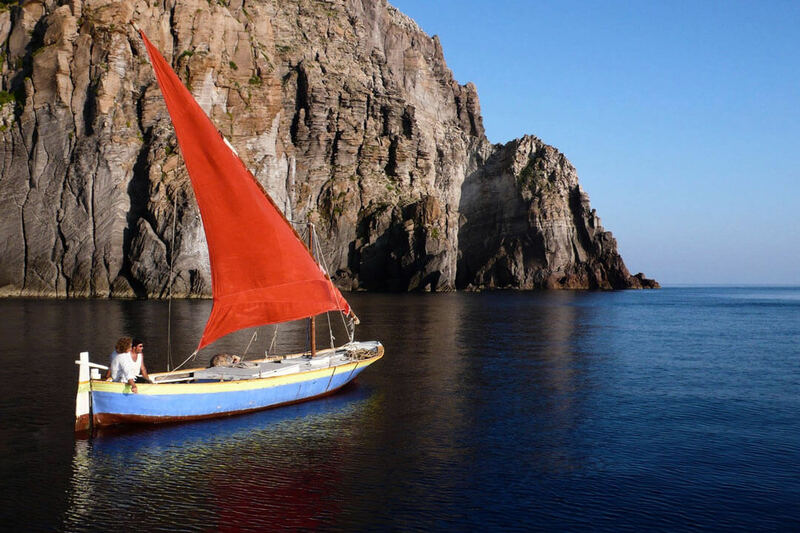 It is also the only one to be administratively independent from Lipari. Its about 2,300 inhabitants live in three autonomous municipalities: Santa Marina Salina – the main port, one of the safest in the province of Messina – which, together with the village of Lingua, has 887 inhabitants; Malfa, 976 inhabitants and, in the hills, 202 meters above sea level, Leni 691 inhabitants, which hosts the other port of the island in the seaside village of Rinella. The name was given by the Romans (who took away Lipari from Carthage in 251 BC) because of the natural salt lake, still visible in Lingua, from which they drew the precious material to flavor and preserve food. Before that time, the Greeks had called the island Didyme, because of the two conical twin mountains, Monte Fossa delle Felci (962 m.) and Monte dei Porri (860 m.), which make its skyline unmistakable, and give it the title of “tallest” island of the archipelago. The two twin peaks, since 1984, make up the Regional Reserve of the Ferns and Leeks Mountains. 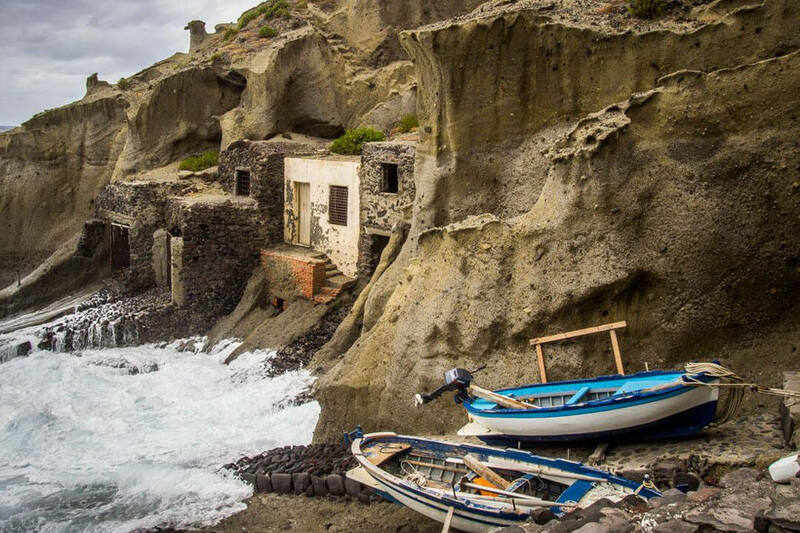 Salina, thanks to its luxuriant vegetation, vineyards and orchards, has always been known as the Green Island of the Aeolians and the agricultural activity has supported the seafaring activity since ancient times. The delicious caper, the “green gold of Salina”, Presidio Slow Food – and also a symbol of the SalinaDocFest – traveled together with the salt to enrich the banquets of Republican and Imperial Rome. The Malvasia, arrived in the island from the Peloponnese in the second half of the seventeenth century – was used to strengthen the English troops who had settled in Messina to counter the Napoleonic expansion in the nineteenth century; and this business, ever more flourishing, led to the birth of a important fleet of sailing ships. Up until 1880 – when a devastating phylloxera epidemic destroyed the vineyards, reducing the population to starvation and causing massive emigration to Australia and Latin America – the island exported more than 20 thousand hectoliters of wine each year and about 3,700 of Malvasia. The production of Malvasia was resumed, in the seventies, by a Brescian lover of the island, Carlo Hauner, who began to replant the vines. Not only he restarted its production, but he also made the Malvasia of Salina and the Aeolian Islands known throughout the world. In 1973 the Malvasia delle Lipari obtained the Denominazione di Origine Controllata (D.O.C.) classification. Today there are eleven wineries in Salina which produce, in addition to Malvasia, fine wines and high quality grappa. Every year since 2010, at the beginning of the summer, under the tutelage of a group of entrepreneurs led by the Tasca d’Almerita family, the Malvasia day takes place in Salina, an obligatory appointment for those who love this ancient wine – “the most exceptional that I have ever tasted in my life”, as Alexander Dumas’ father wrote about it in the diary of the voyage he made in 1835 in the archipelago. 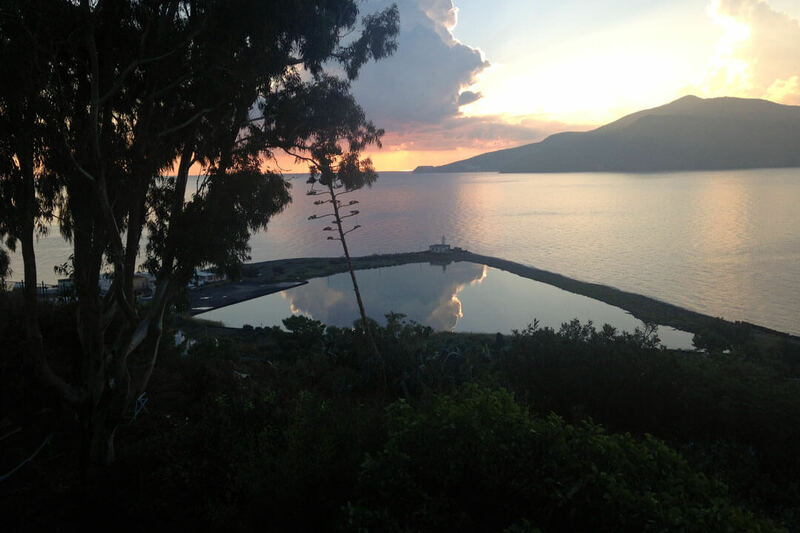 From Dumas’ father to Guy de Maupassant, who made the Aeolian Islands a stage of his Grand Tour in 1885, there were many illustrious travelers who visited Salina and described its wonders, which, thanks to the movies, have been seen all over the world. Take for example the beach of Pollara, where Massimo Troisi’s Il Postino was set, or the lake of Lingua, where Nanni Moretti played football in Caro Diario; or Capo Gramignazzo, between Capo Faro and Malfa, featured in Libero Burro by Sergio Castellitto. 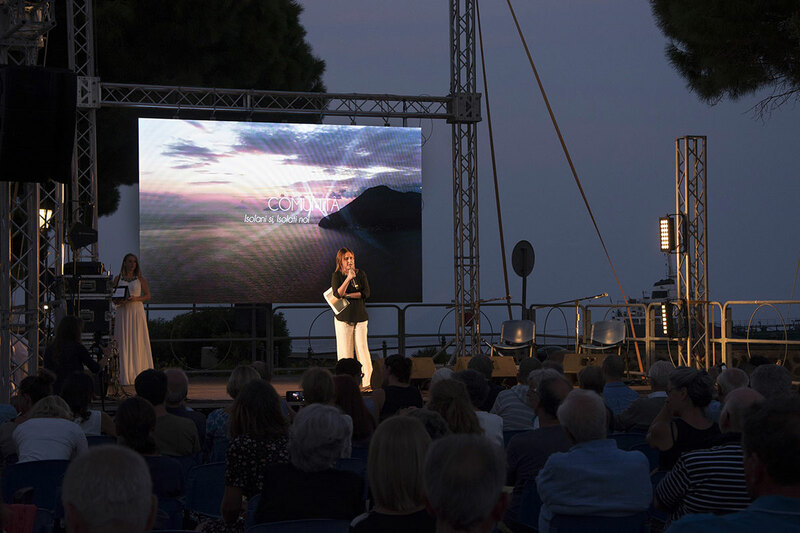 But, even before that, the images of the island’s depths in the 35 mm short films – like Cacciatori sottomarini and Tonnara, award-winners at the Venice Film Festival – made in the first decade after the war by the Sicilian noble Francesco Alliata di Villafranca, founder in 1945 (together with a group of friends including Fosco Maraini) of the legendary Panaria Film production company. Which was based in Rinella, in the villa that today is known as the Ariana Hotel. 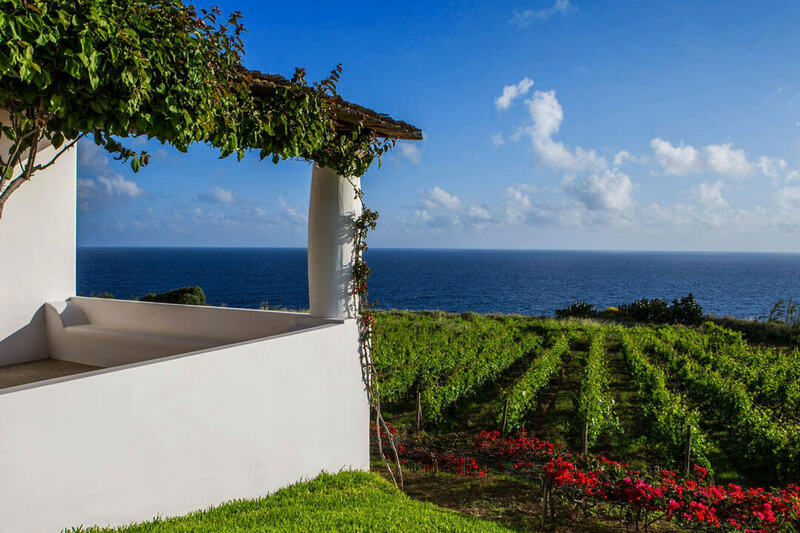 As it’s natural for a place of such beauty, tourism has become one of the main economics bloodlines in the island, together with agriculture and fishing. It’s a quiet kind of tourism, curious and respectful, of the kind suited to the ones who love discovering nature and to retrace it through a multi-millennial history. The first human settlements identified in Salina date back to the Bronze Age.